Customers across Canada describe Redfeather Pain Spray as a “miracle” relief from chronic and temporary pain. 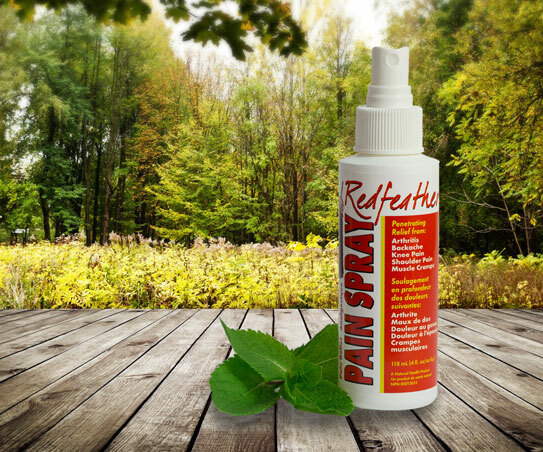 Containing 7% natural menthol, Redfeather Pain Spray is a fast-acting natural remedy. A few sprays will quickly relieve pain due to arthritis, knee, shoulder and other joint pains, back aches, sunburn and bruising. No rubbing is necessary and there are no side effects. We believe Redfeather Pain Spray is the strongest and most effective analgesic spray on the market. Men and women from all age groups and levels of physical activity use Redfeather Pain Spray. Young adults and children also benefit from its use, especially for the relief of temporary ailments such as sprains and pulled muscles. Note: Not for use on damaged skin, if allergic to salicylates, or while taking anticoagulant medications. 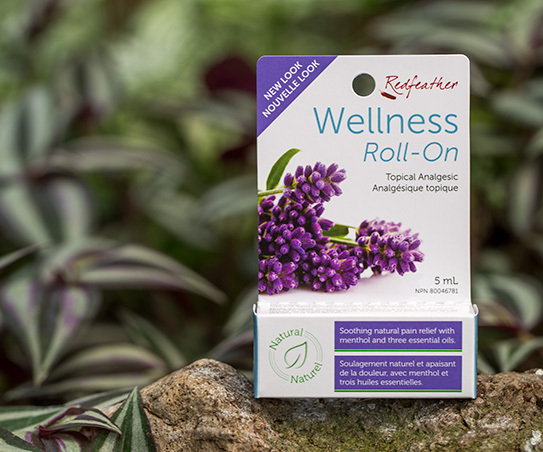 With essential oils of Lavender, Rose and Peppermint, this soothing menthol-based pain reliever brings wellness every time with an easy roll across your forehead, temples, neck and scalp.